A while ago I went to see the film Begin Again. The main reason why I wanted to see it was because it was Keira Knightley's latest film, I love her. Also because it looked like a really good film and it's about music, which I I love. So this film has music in it but it's not a musical. The film stars Adam Levine who plays Dave. Keira Knightley plays Gretta, they are high school sweethearts and song writer partners.They jet off to New York where Dave lands a deal with a major label. Finding his new found fame he dumps Gretta and leaves her. However her world is getting better when a chance encounter between her and a disgraced music executive occur. It turns into a promising collaboration between the two. The film also stars James Corden who I love he plays, Steve a friend of Gretta's. James Corden and Keira's chemistry in this film was just great it was so nice to see them on screen as well. They were just so good also Adam Levine's acting was great in this film and Keira's singing was amazing. Also Haliee Stienfield is in the film she plays Violet and the actress is really pretty. I love the location of where the film is set which is New York. I've always wanted to go and hopefully someday I will. So to have a film set in New York, about music and starring one of my favourite actresses equals, just perfect. It just fits so well especially the songs with the setting location. When Gretta is recording her music outside onto any part of New York they can go to and do that without getting caught. I love those scenes. I absolutely loved Keira's character Gretta's style in this film it was just so casual and cool. I love her loafers, her brogues, her dresses her ripped jeans, her trousers and her brown over the shoulder bag. I'm hoping to do some inspired style posts about her on my blog one day. I just love her so much and Keira just looks amazing in everything that she wears. Overall I loved this film and I would seriously recommend it. Especially if you love music because it's film about how music can help you in any situation. Also the film has a very clever idea of recording the songs outside with all of the different New York surroundings, sounds & vibes and then selling the album for a really cheap price. I can't wait to watch this film again. 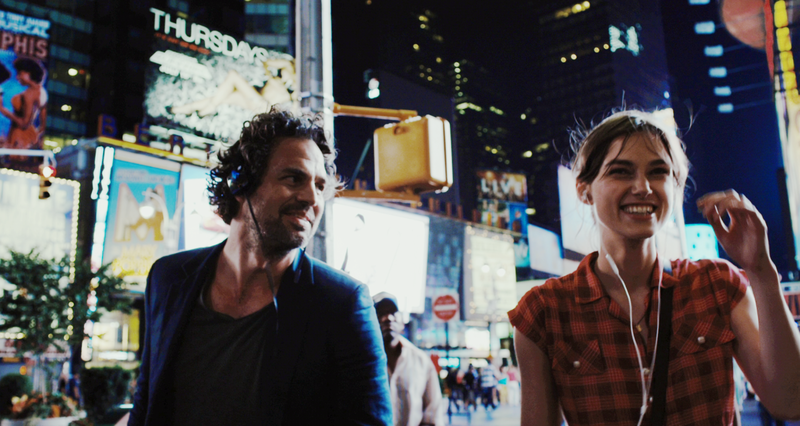 One of my favourite scenes is where Mark Ruffalo's character and Keira's go to a club and dance but they are listening to their music. Just genius. 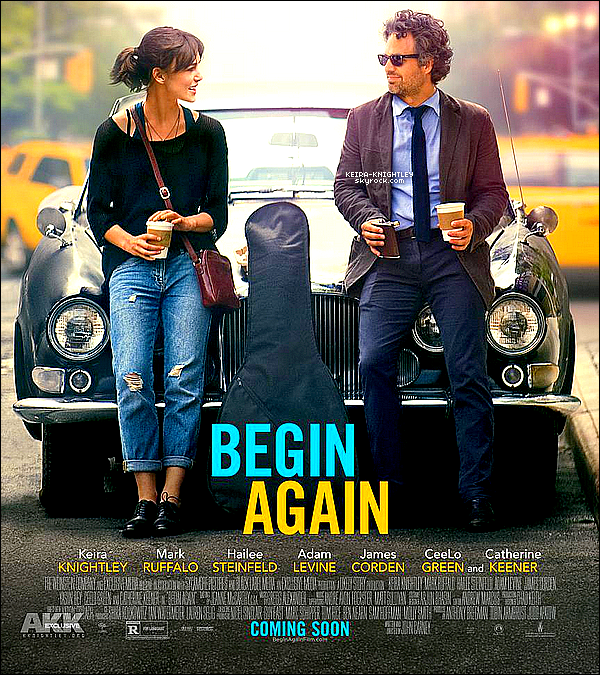 If you've seen the film Begin Again what did you think of it? What are your favourite scene(s)? I'm a huge fan of Miss Knightley and thanks to this review I'm really looking forward to watching this! The last gif quote is soooo cute!